The arrangement and appearance of the text is an extremely important piece in creating a perfect ketubah. 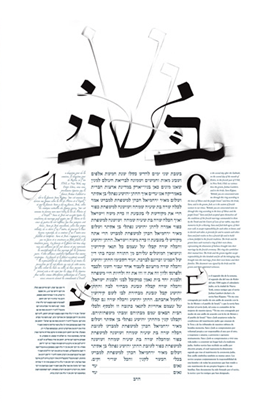 Odor Ezer wins Best Typographic Ketubah for his completely unique and advanced craftsmanship. Ezer’s knowledge of the hebrew text along with his unparalleled skill sets him apart from the rest. His text makes any regular ketubah come to life.